Owned by a professional chef Villa Eulalia offers not only a great barbeque area, summer kitchen, pizza oven and outdoor fire, but also a superb interior kitchen, professionally equipped with several dining and seating areas providing a relaxed vibe throughout. 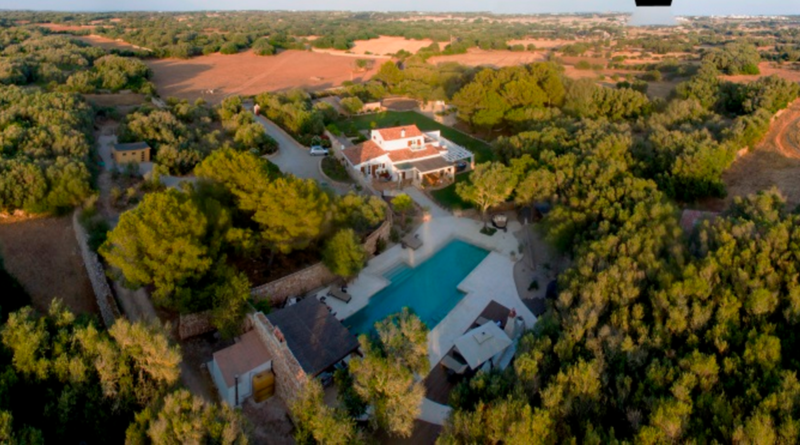 Life is certainly for living, and guests have their choice of table-tennis, boules and badminton in the extensive, well-manicured gardens (there is even a cricket net with bowling machine) and over 20,000 movies, Apple TV and SONOS music system in place to entertain guests of all ages. Accommodation is split between the main house, with 5 bedrooms, and the Casita, which is set privately, 50m away. The Gardens: Relaxed entertaining spaces with summer kitchen, pizza oven, day bed, hammock swings, fire-pit, allotment, fruit garden, several dining areas, table-tennis and boules pitch. 20x5m heated pool, outdoor shower, cricket net and bowling machine. The original ‘era’ threshing circle is now a feature in the private grounds. Location: Rural setting, less than 2km to San Climente (small supermarket, café and restaurant), 15 minutes from Mahon airport and nearest beaches.